D'Addario XL Pure Nickel Electric Guitar Strings use a Pure Nickel wrap wire that makes a warmer vintage electric guitar tone. 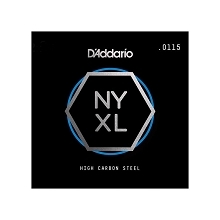 D'Addario Pure Nickel guitar strings look back to the 1950's when nickel was the main alloy used in electric guitar string production. 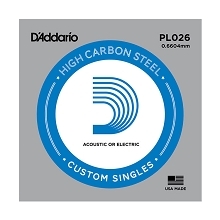 Pure nickel strings took a back seat to nickel plated steel in the 1960's when guitarists wanted a brighter tone. D'Addario Pure Nickel Guitar Strings bring back the rich warmer timbres found in traditional blues, classic rock, rockabilly styles and more!